Welcome to another little round up of some recipes from #veganrecipehour. it was a another enjoyable night. I have to admit to a little self indulgence with this theme! I’m a big fan of Vegan sausages and have recently started to make my own using this wonderful recipe. But, I have used Okara instead left over from making soya milk/tofu at home. They come out looking like that and are VERY tasty! Have a go! Its worth it! 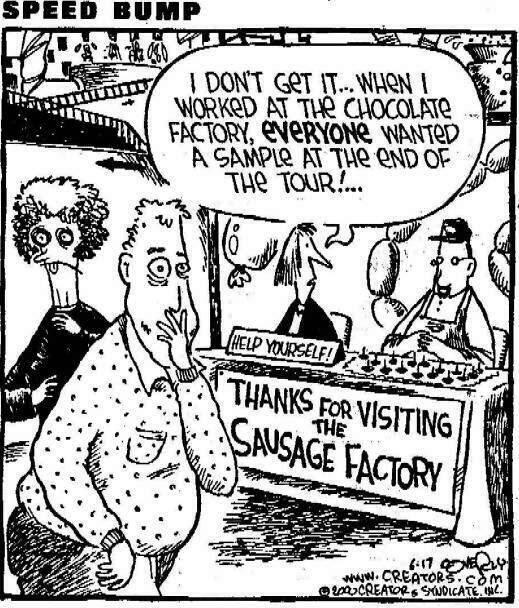 It was also clear that many of you have a soft spot for Linda McCartney sausages. I always have some of these in the freezer! I use them quite a lot for inexpensive dinners. Some examples are an ‘All day Breakfast fritatta‘, Roles into ‘meatballs’ in this ‘Kale and Chickpea stirfry‘ Or how about making your own vegetable sausages? 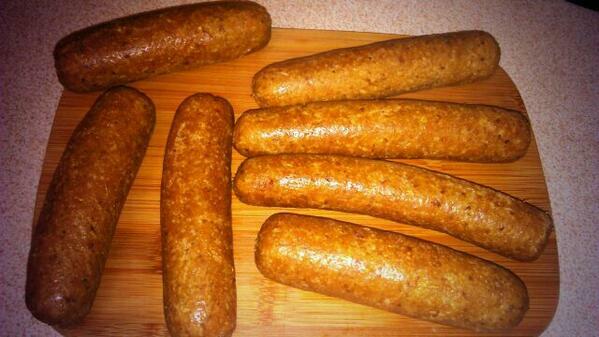 try these ‘Summertime veggie sausages‘ Yum! Sometimes we all need a bit of comfort food dont we?! So, how about taking a look at this ‘Sausage and Bean Shepherds pie’ recipe from @veggiesandvegans Mouthwatering! This recipe for ‘Two bean and leek sausages’ proved to be very popular. thank you to all who suggested it and thank you for creating it @Gourmetvegan ! Another recipe to make your own is from @Isachandra and PPK ‘Simple Italian sausages‘ look awesome! 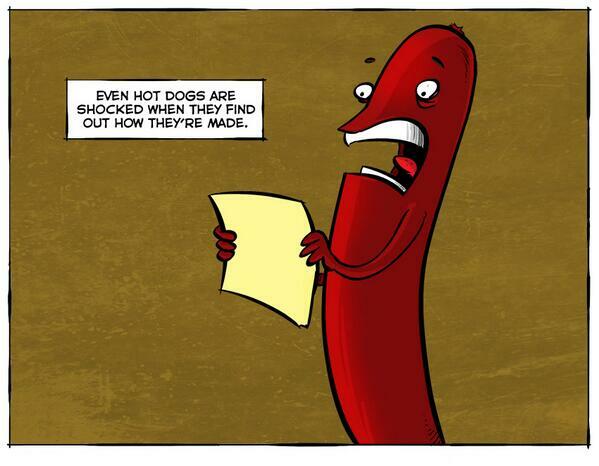 What about a ‘sausageroll’? Doesnt that have to contain meat?! NOPE! definately not! have a look at these tasty ideas! This one is from @yogivegetarian. It used TVP mince and Yellow mung beans.Very tasty! Another lovely idea came in from @paulyoud Who has created sausage rolls using bread dough. Lovely hey! This recipe from @NiaChubba.amazing! .. ‘yeast free stuffed crust pizza’! created using ‘Dees Wholefood‘ sausages. this is also #glutenfree! Wow! The great thing about having #vegansausages is that many traditionally none vegan recipes can be altered simply to become a veganised version. such as a Vegan ‘Toad in the hole‘ or this megga simple ‘sausage casserole’. If you are currently making the transition to being Vegan or if you are incorporating more vegan food, it doesn’t mean you have to ‘loose’ your favourite meals. The vegan community is amazing and will always find a way! Please have a look at the nights tweets for more ideas and shared recipes! I will leave you with this cartoon…it sums it up really! !